The clubhouse at Tiger Woods' El Cardonal. Published: Tuesday, February 28, 2017 | 3:11 p.m.
1. Two Must-See Tracks: The No. 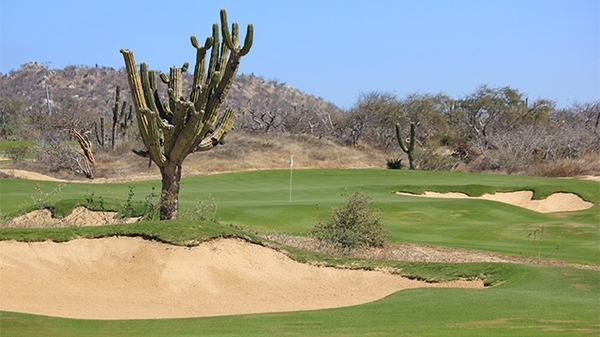 1 Course in Latin America and Tiger Woods’ first design. 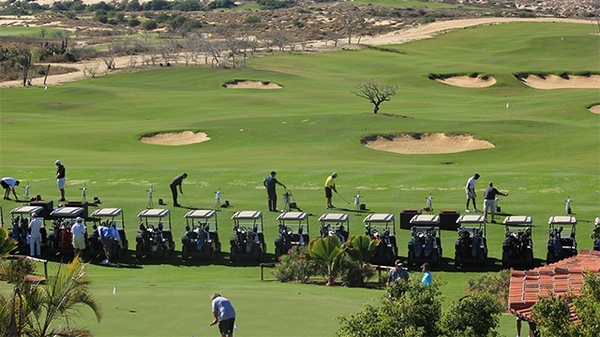 The Dunes Course at Diamante (No. 14 fairway, above) is ranked No. 1 in Latin America and No. 38 in the world. The Davis Love III design flows seamlessly through natural sand dunes and offers stunning views of the neighboring Pacific Ocean. Every hole on the course has character and creative elements that make all of them especially memorable. It’s one of those rounds where you’ll remember every shot you hit. On top of that, first-class comfort stations offer handmade tamales and margaritas made in front of you with fresh ingredients. 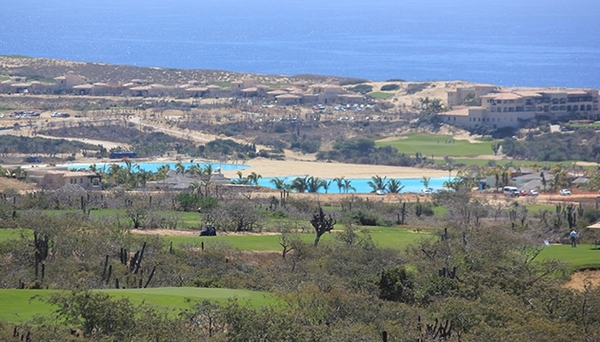 The Tiger Woods designed El Cardonal course (above, No. 8) pairs well with the Dunes. The fact that it’s the first-ever golf course designed by Woods makes it a must play. Wide fairways and elevation changes are the recurring theme, as it sits on the highest point the Diamante property has to offer. Woods designed the course to be playable for the average golfer from the forward tees, but to also present skilled golfers with a firm test from the tips. 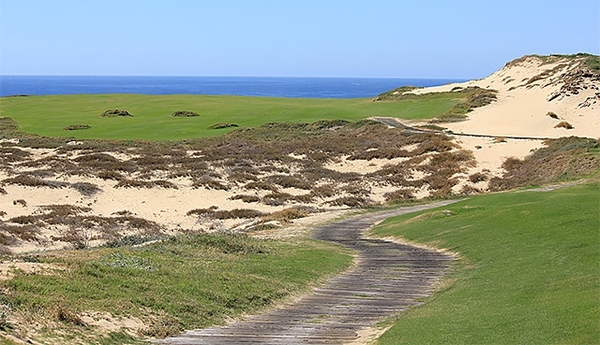 Overall, it’s less challenging than the Dunes and the ocean views aren’t as dramatic – but it’s definitely a course you want to cross off your list. You won’t want to do laps at the 10-acre saltwater pool that sits on Diamante’s property – unless you’re prepping for a triathlon or something. The Crystal Lagoon is one of the largest pools in North America and contains 27 million gallons of water. Stand-up paddleboards and kayaks can be seen across the vast body of water, while others choose to take a relaxing swim next to one of the many cabanas. It’s 12 feet at its deepest point, averages about seven feet in depth and they’ve planned for seven zero-entry beach areas. 3. 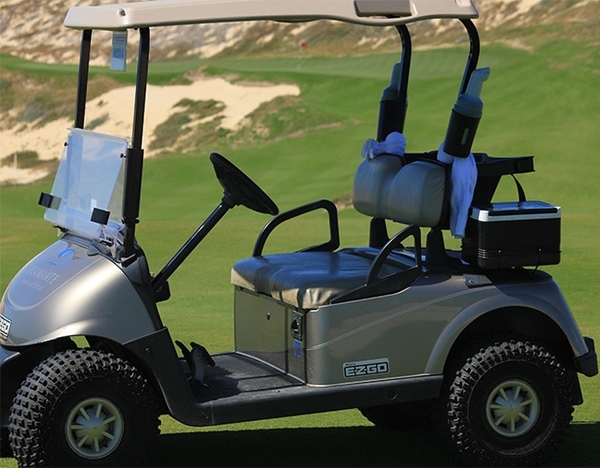 Golf carts made for off-roading. 4. An Oasis next to the ocean. 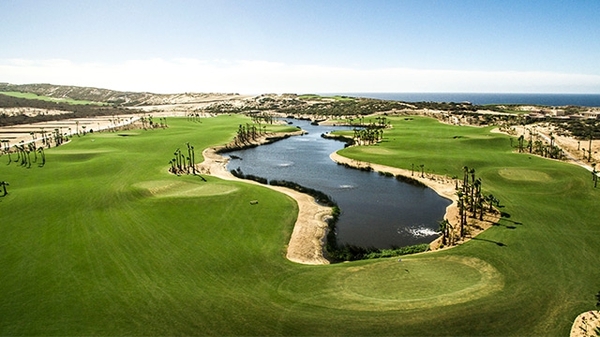 When the Big Cat designed El Cardonal, which opened in 2015, he also did the Oasis Short Course that sits adjacent to the Dunes. The 12-hole par-3 course is a fun and casual experience for golfers of all ages and abilities. Furthermore, it offers of an aspirational view of the Dunes Course – inspiring golfers to get their game ready for the challenging DL3 layout. 5. You could spend all day at the practice facilities.